Hi everyone; I have been in Chicago this past week, and I did not find the time to do any blog-post while as was there. I was invited by the houseware show, it is my fifth year going there, so many beautiful pastel items I found on the show. ( more to come on that in a separate blog-post! 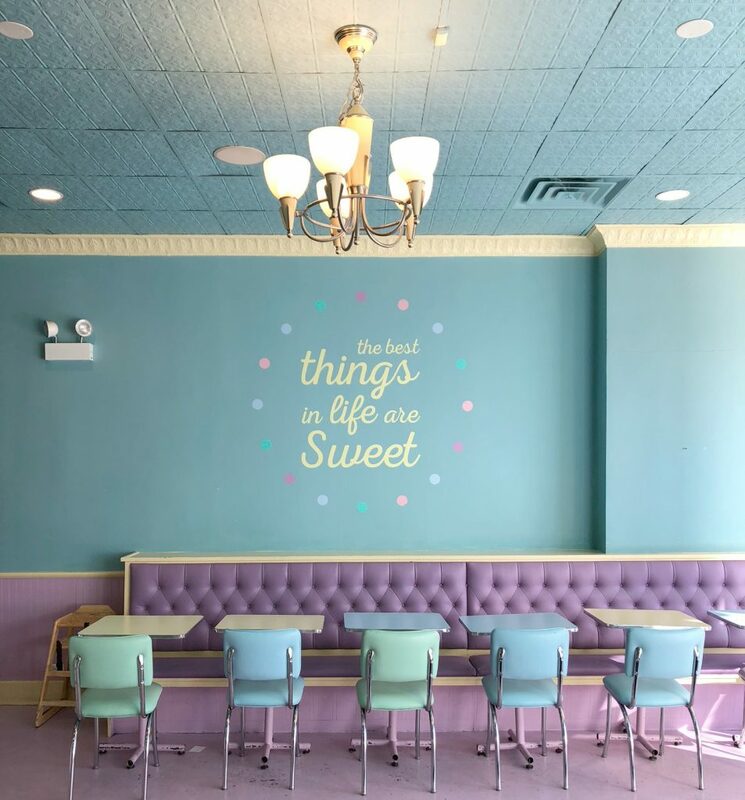 I did have a chance to visit a few bakeries in Chicago, one of them is → @sweetmandybs it is such a beautiful bakery. I will be writing a blog-post soon about that bakery and another bakery in Chicago, and tell you what I thought about their cakes, cupcakes, and pies, yes I tried a few of them. 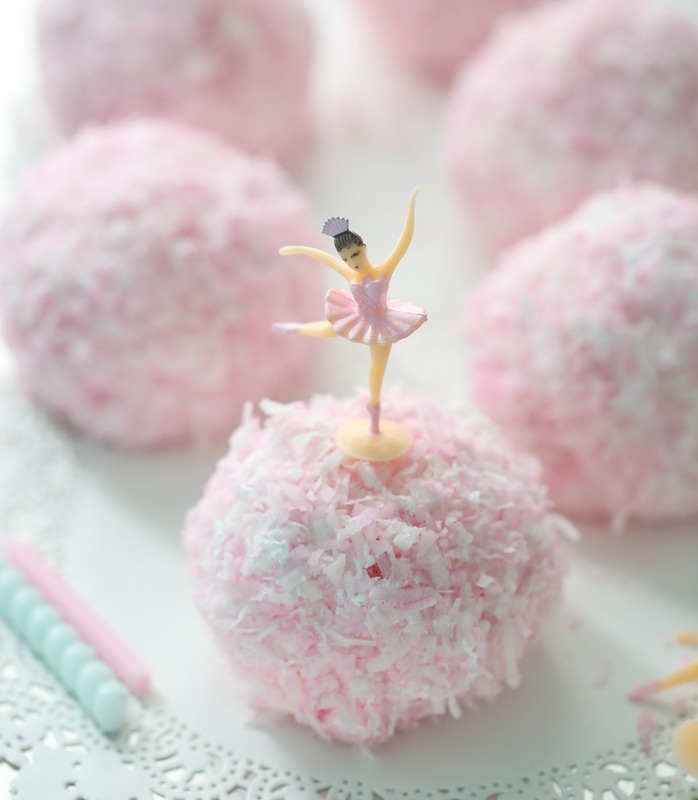 Today´s recipe; Do you remember eating these vintage snowball cakes back in the day? 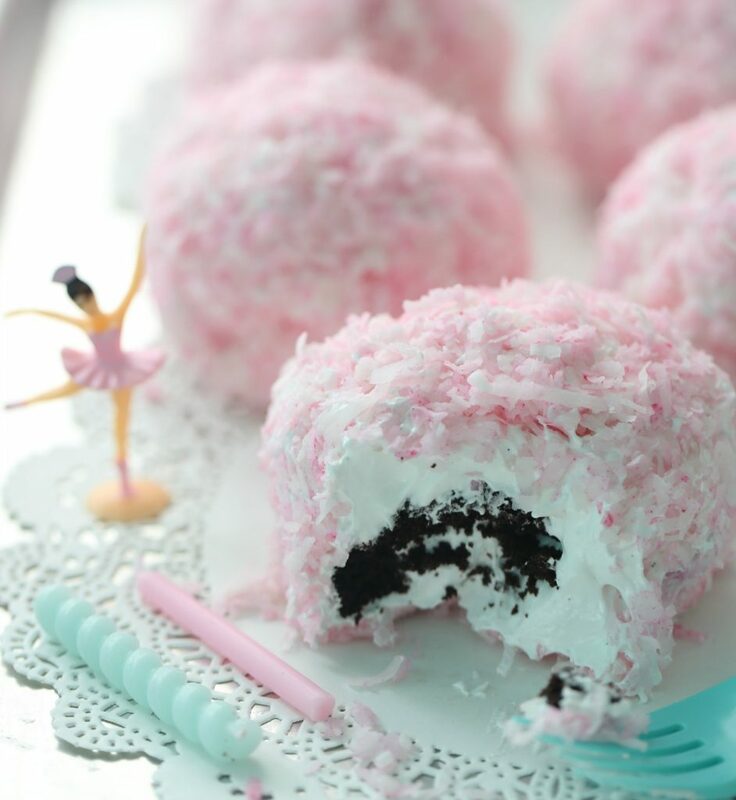 They are frosted and filled with fluff then covered in pink coconut. You can still find snowball cookies in some supermarkets in the USA. 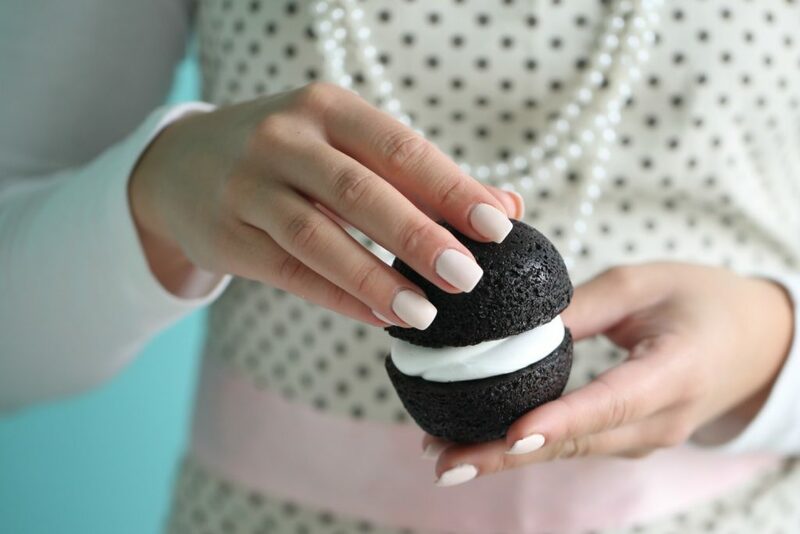 These cuties are easy to make and of course are very delicious, making them perfect for any occasion. 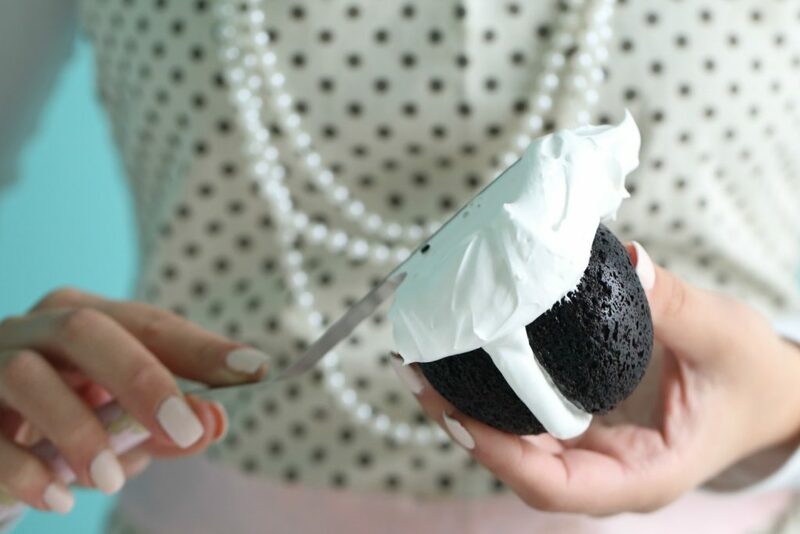 1 RECIPE FLUFF, GET THE RECIPE →HERE. Preheat oven to 325F° (165 C°). To make these cakes I use a 6-Cavity Half Circle Silicone Mold (cupcake liners may also be used, they will be less round). grease the silicone molds and set aside. Sift the flour, cocoa powder, baking soda, baking powder, and salt in a bowl and set aside. In a mixing bowl, place the eggs, sugar, and vanilla bean paste. Beat on medium speed for 5 minutes. Scrape the sides and bottom of the bowl with a rubber spatula. Beat for another 5 minutes on high speed. Scrape down the bowl again. Add the mayo and beat until just combined. Sift in the flour mixture in two additions, alternating with the coffee. Use a silicone spatula to stir until everything is well blended. 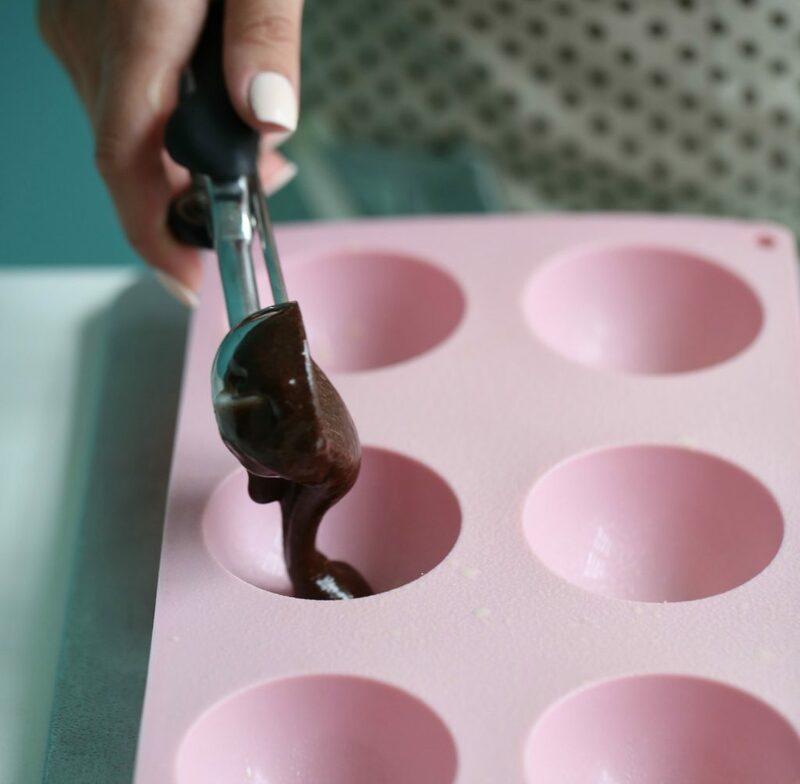 Using an ice cream scooper fill the silicone molds with the batter. Bake in the middle oven rack for 20-25 minutes, or until a cake tester comes out clean. 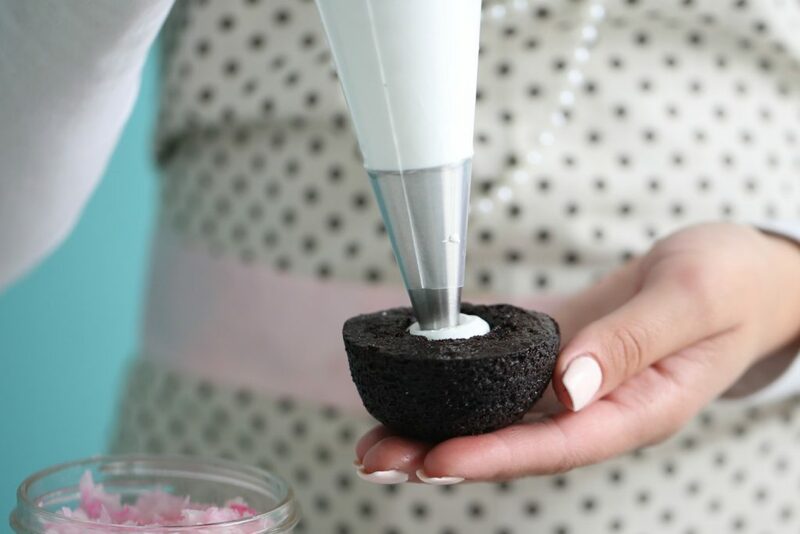 Using an apple or cupcake corer, cut out an inch-deep hole in the center of each cake. 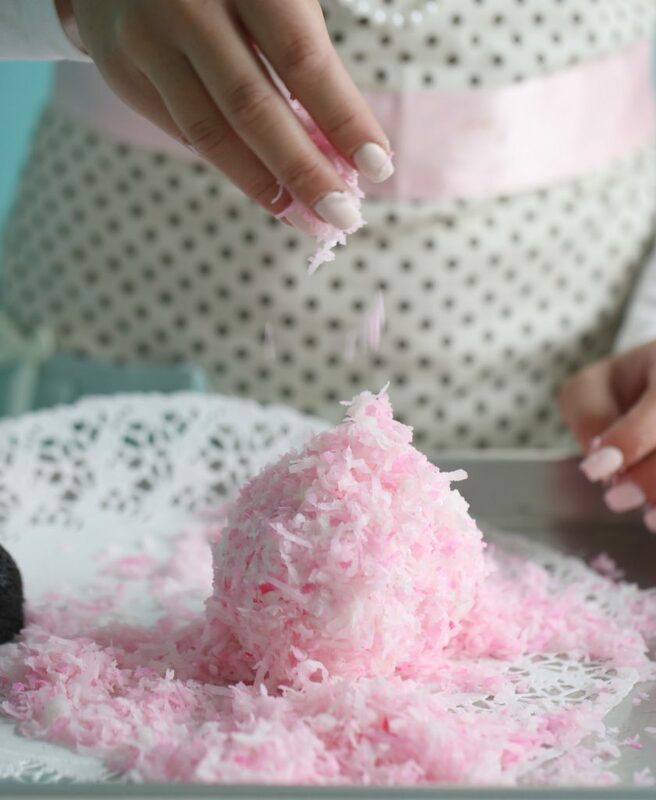 To tint the coconut, place the coconut flakes in a gallon Ziploc bag and add a tiny drop of pink food color. Do the happy dance by shaking the bag until all the coconut flakes are tinted. 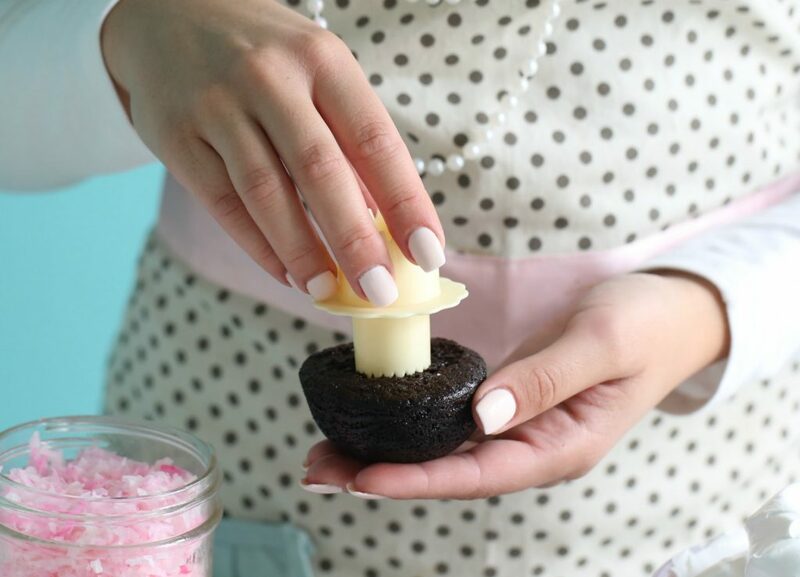 Prepare the fluff, get the recipe → here. 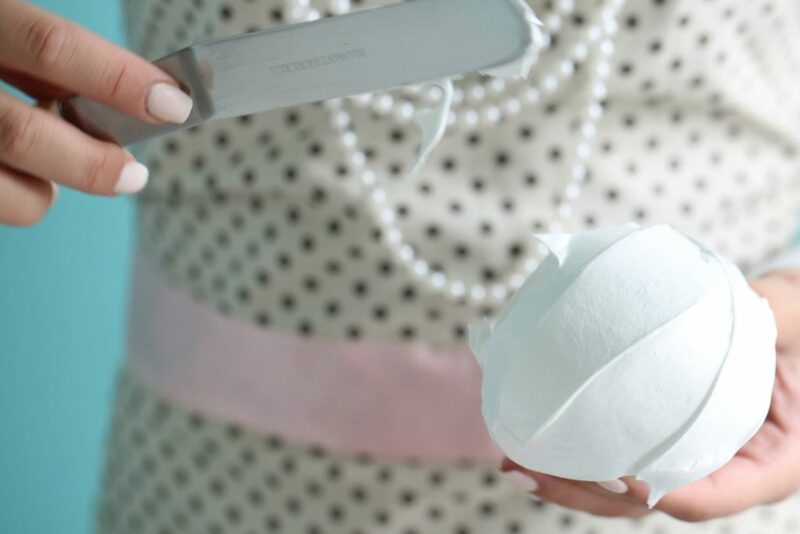 Place the Fluff in a piping bag fitted with a small round nozzle. Fill the centers of these cakes with Fluff. Frost the tops of 4 cakes (or 8 cupcakes) and stack remaining cakes on top. Frost the top, the sides, yes, the entire cake. I know this gets messy but, “Oh, they’re so delicious”! 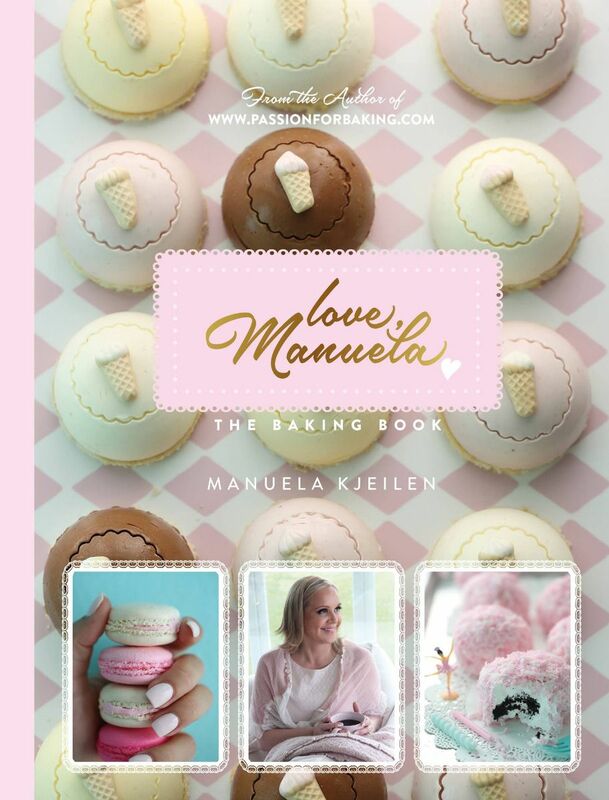 Roll the cakes (or cupcakes) in pink coconut.